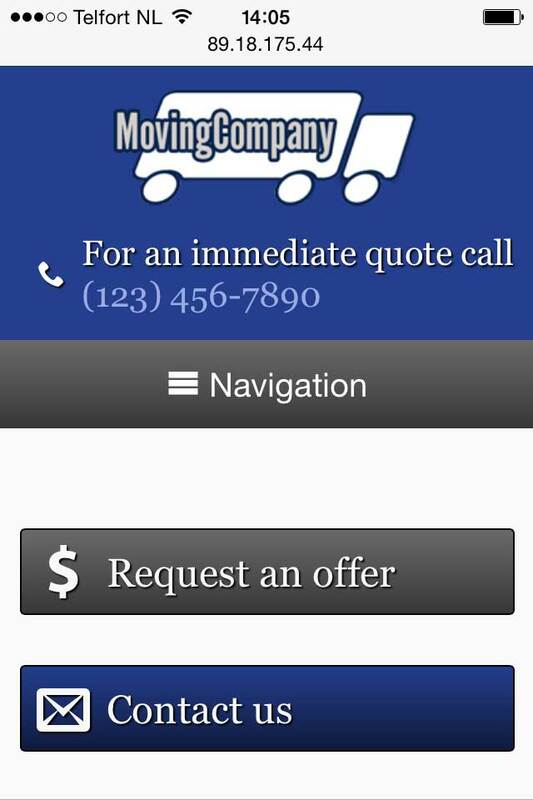 Nowadays people will start their search for a professional moving company online. Not having your own site means your competitors will get a headstart when it comes to converting prospects into customers. 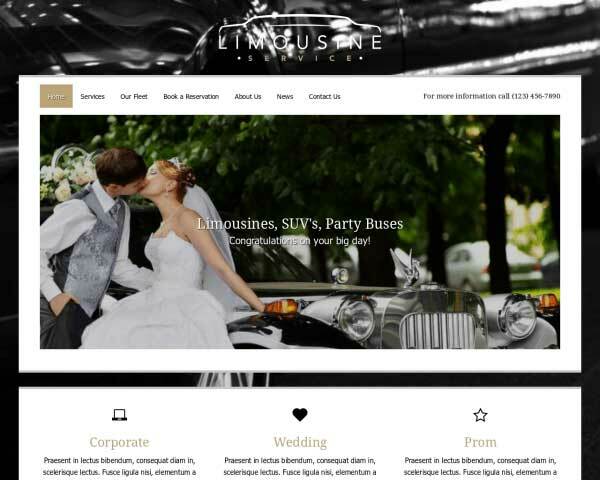 Having a professional online presence with the Moving Company WordPress theme means being online becomes an asset rather than something "you have to do". 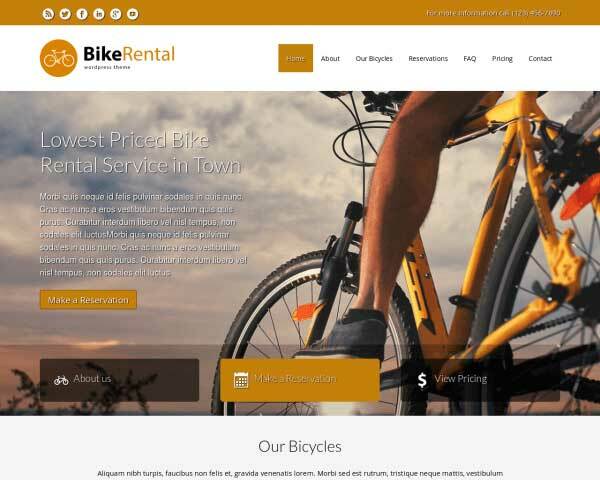 The Moving Company WordPress theme's true power lies not only in its clean design and layout, but also in it's powerful theme engine. It's a fully mobile WordPress theme with a front-end editor. This means you can easily expand the services on the homepage or instantly change the entire color scheme with the click of a button. 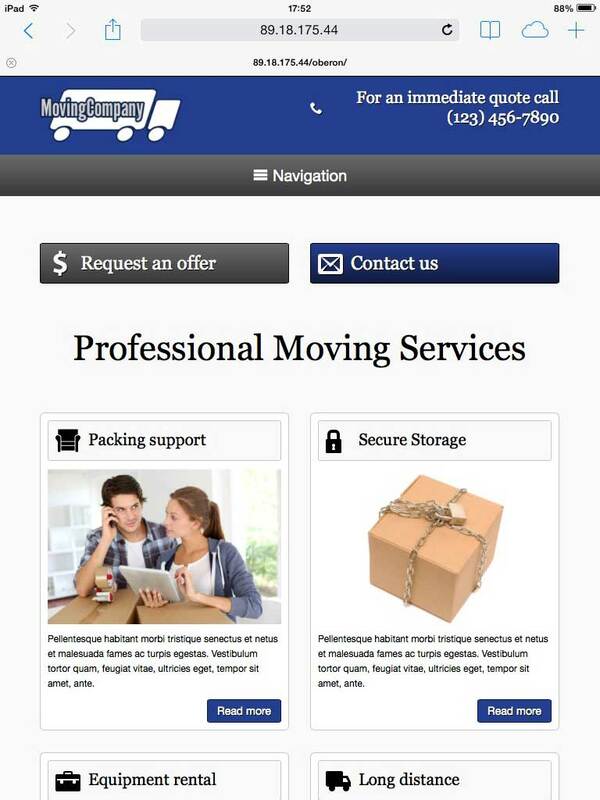 With its turnkey installation you'll set up your moving company business website in minutes. 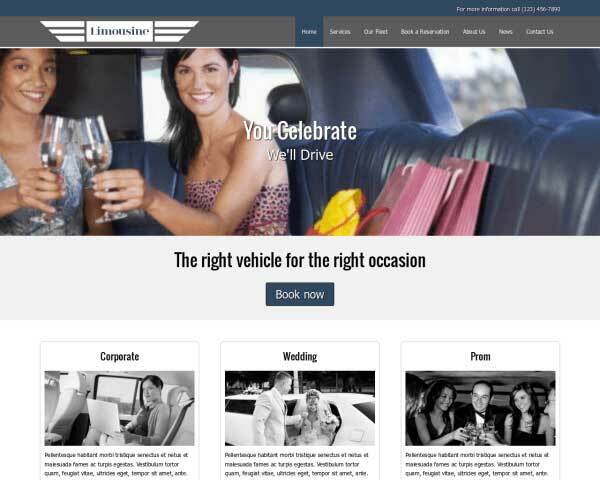 Including a fully layed out website with a testimonial pages, multiple sidebars, a contact section and quotation form. Each submitted information request is stored in a downloadable csv file and has a corresponding overview page for quick reference. 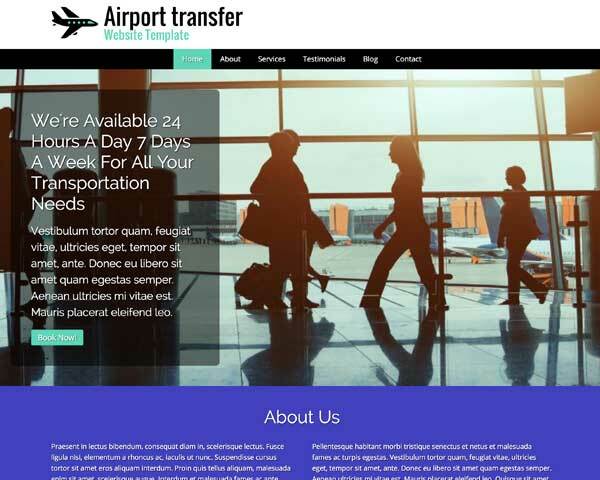 All of these common sense features will make the Moving Company WordPress theme an excellent choice for professional movers who want a solid online presence. 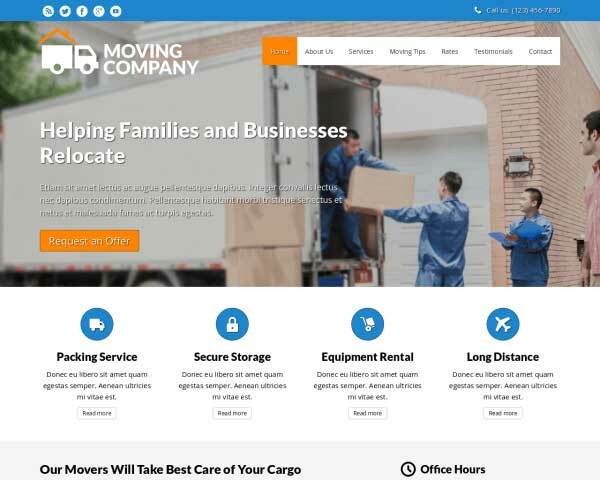 The homepage of the Moving Company WordPress Theme features an attractive overview of your most popular services, offering visitors quick navigation to more details about each service. With the Moving Company WordPress Theme, your visitors will be treated to a comprehensive and easy-to-navigate website, but they'll never have to search for a way to contact you with a call to action located on every page. 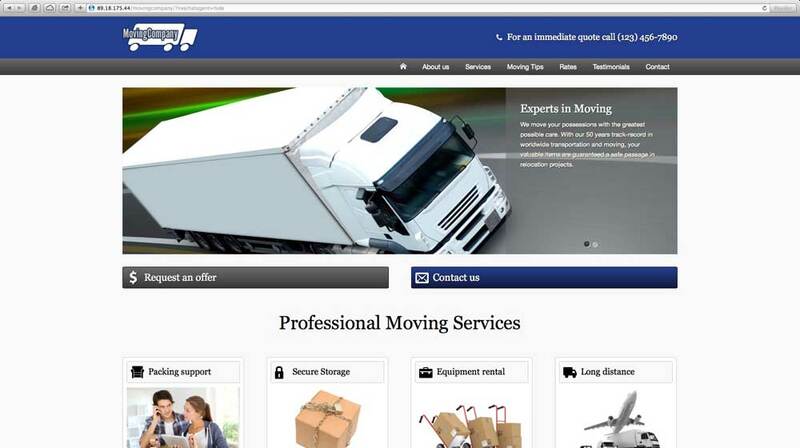 The Moving Company WordPress Theme enables you to showcase all you services in a nice overview. Neatly and cleanly laid out for your prospects with a nice rollover effect. 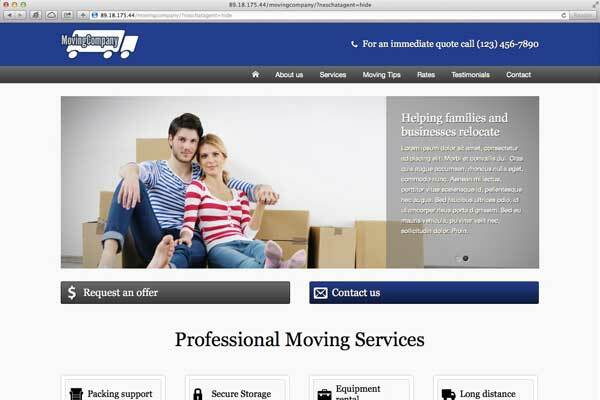 The Moving Company WordPress Theme has a free quote form. This form enables visitors show their interest in a specific service and leave behind important contact information. 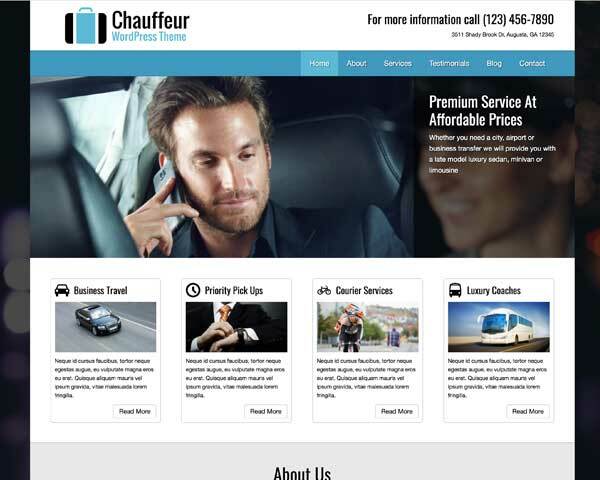 Outline your rate structure and services on the dedicated page of the Moving Company WordPress Theme. Add rows, columns or price charts as needed. 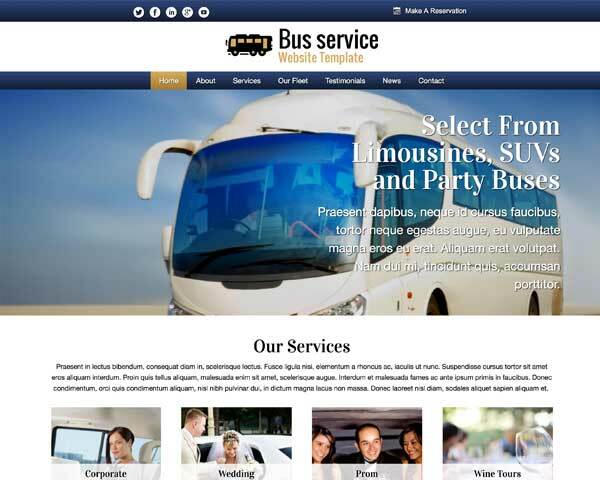 Convince the visitors of your website of the quality of the services that your transportation business has to offer. The template assists you by offering widgets to display a set of star reviews from existing customers. We have long moved away from static handcodes websites. Having a website in this day and age means servicing all kinds of people with all kinds of devices. Whether it is a mobile phone or a desktop you want to provide your visitors with the best user experience possible. The way to do so is with a so-called "responsive" website. With the responsive Moving Company WordPress theme you set yourself up for online success, being able to convert visitors into customers.